Carpets are very important and expensive asset that should regularly cleaned. Although cleaning can keep your carpet tiles clean, at times the carpet may get stains that are difficult to remove. Cleaning carpet tiles is very important because it helps to prolong the lifespan of your carpet and also for the health of your family and workers. Carpet cleaning also prevents mold formation and helps to get rid of the beetles and bugs. But with time, the carpet can get stained with ink, paint, coffee, dressings and other things that can ruin the elegance of your carpet. Home with pets and children are especially prone to carpet staining. Needless to say, at one time or the other, your carpet will be stained. 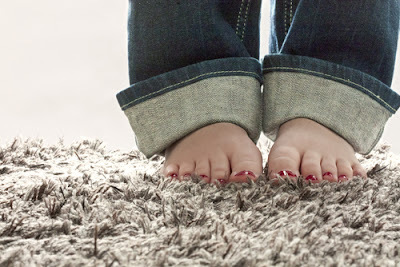 The following are tips on how to remove stains on carpet tiles. No any carpet tile that is proof to stains. Your carpet can be stained by the blood spills, ink or any other thing you can think of. The first thing to prevent spots or spills from turning into stain is to act immediately. It is wise to remove spills and spots as soon as possible. If you fail to act immediately, the spills or spots are likely to form permanent stains that are more difficult to remove and also require much capital investment. All in all, ensure you act as soon as possible. Many homeowners are likely to rub on liquid spills as a way to reduce the intensity of the stain. This is wrong because rubbing on a liquid spill will spread the stains deep into the fibers that will make the situation much worse. The best way to get rid of liquid spills is bloating up. Soak a clean white cotton or a clean white towel on the spilled liquid. Soaking up the white cotton will absorb the liquid [preventing the liquid from spreading further. Afterward, you should rinse the affected parts with warm water and bloat once more until the part completely dries. Give the affected parts good time to dry, you should avoid scrubbing the carpet tile as this will ruin the carpet. The bottom line is, don’t rub on the liquid spills, and you should avoid over wetting the affected parts. To prevent the stain from affecting large parts of the carpet tile, always work from the outside to the inner part of the spills. Many people would simply soak a wet cotton right at the middle of the stain or spill and start scrubbing. Putting the cloth in the middle of the spill is very wrong as it would force the spills to spread to the other parts of the carpet. The best way to remove such spills is working from the outside to the inside of the spills. This will prevent the spill from spreading to other parts of the carpet. Before rushing to buy other detergent, it is good to remove stains using water. Water can remove most stains. But avoid hot water because hot water will set the stain. Lukewarm or cold water is the best. You can also prevent stains before they occur. There are various proactive and preventative detergent in the market that have been tried and proven to prevent carpet stains from forming. Such detergents form strong defensive layers that repel most stain causing agents thus stopping stains from forming. Blood stains can be very nuisance. It is good to remove blood stains as soon as possible to prevent the formation of a permanent stain. The best way to remove blood stains from your carpet is by soaking a wet paper towel and bloating all the spills as you can. After bloating, you should cover the affected parts with a clean paper towel and apply effective detergent and lukewarm water on the white towel. Let the solution settle for 30 minutes before wiping away. If you follow this procedure, you are likely to remove all blood stains on your carpet without leaving any marks that would damage your carpet. Ink marks should be removed as soon as possible to prevent the formation of a permanent stain. You can easily remove ink marks by soaking the affected parts and then scrubbing using fine steel wool. If some stains remains, use ammonia. Pour little ammonia on a clean white cloth and then cover the affected parts. Leave it for at least 15 minutes and the clean the carpet tile with the detergent of your choice. However, ammonia can discolor the grout, you should be careful to keep ammonia on the affected parts only. In addition, ammonia has a strong pungent smell, ensure the room is well ventilated. You can also remove burn marks before forming a permanent carpet stain. To remove the burn mark, use cold water and an effective detergent to rub the affected areas with a fine steel wool. You should soak the affected parts for at least 20 minutes. When you spill fruit juice, tomato juice or tomato sauce on your carpet tiles, you should clean it out as soon as possible. Vegetable or fruit juices and sauces can stain your carpet very quickly so you should remove these stains immediately. You need to wipe up the sauce or juice completely. 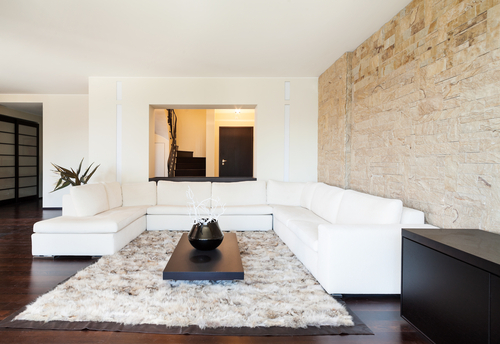 You can used baking soda, lukewarm water and cleaning rugs to remove stains. Some stains are so hard to remove. For example, blood, vegetable and fruits sauce and juice can form permanent stains. The best way to remove such permanent stains is by hiring professional services provider. 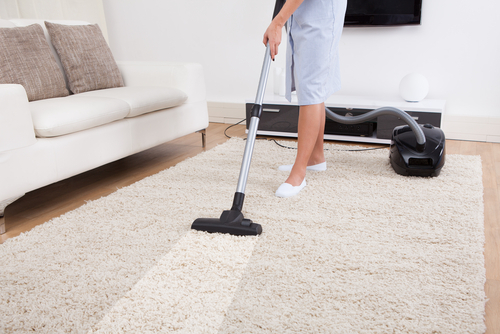 Professional carpet stains removers have the necessary equipment and skills to remove any stains. In case your carpet is heavily stained, you should consider hiring professional service providers. However, you should ensure your hire the experienced and highly skilled service provider. You should look at customer’s reviews before hiring the service provider.